If you’ve been waiting to get you own copy of VMWare Fusion 4, now is the time to do so as MacUpdate has bundled the app alongside 11 other Mac apps for only $49.99, as part of the latest MacUpdate bundle promo. 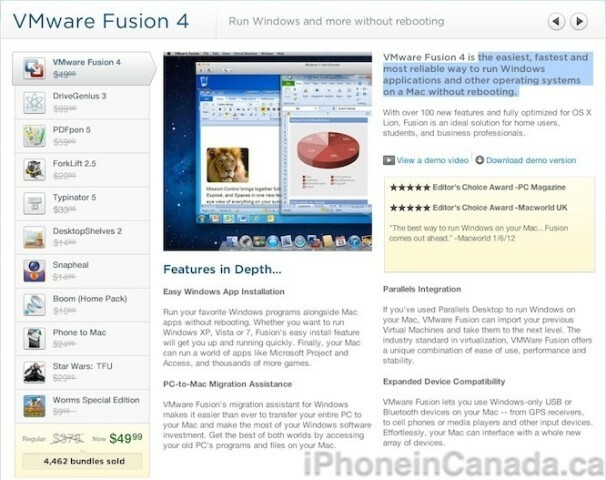 VMWare Fusion 4 ($49.99): the easiest, fastest and most reliable way to run Windows applications and other operating systems on a Mac without rebooting. DriveGenius 3 ($99.99): the industry’s leading disk utility and the best way to optimize your drive’s performance. PDFpen 5 ($59.99): a PDF toolkit that lets you add text, images and signatures to PDFs — and much more. All of these apps combined would retail for $378, but during this limited time promotional period you can get them all for just $49.99. Not too shabby even if you just want VMWare Fusion 4! 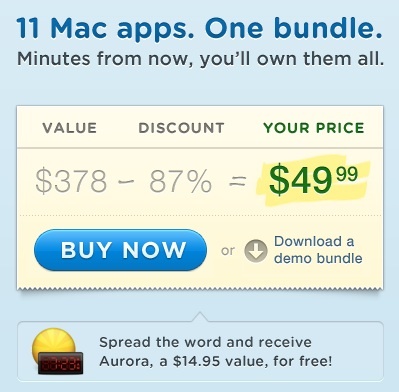 Click here to visit the MacUpdate promo page before the sale ends. Purchases of the MacUpdate promo via the links above will allow our readers to support iPhoneinCanada.ca.